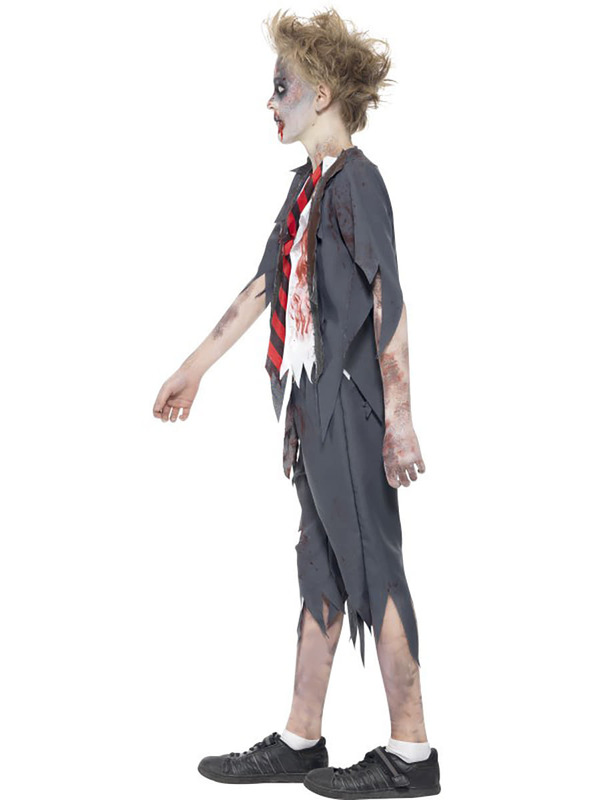 Leave the tomb and have fun at the school of the living dead with this student zombie costume for a boy. 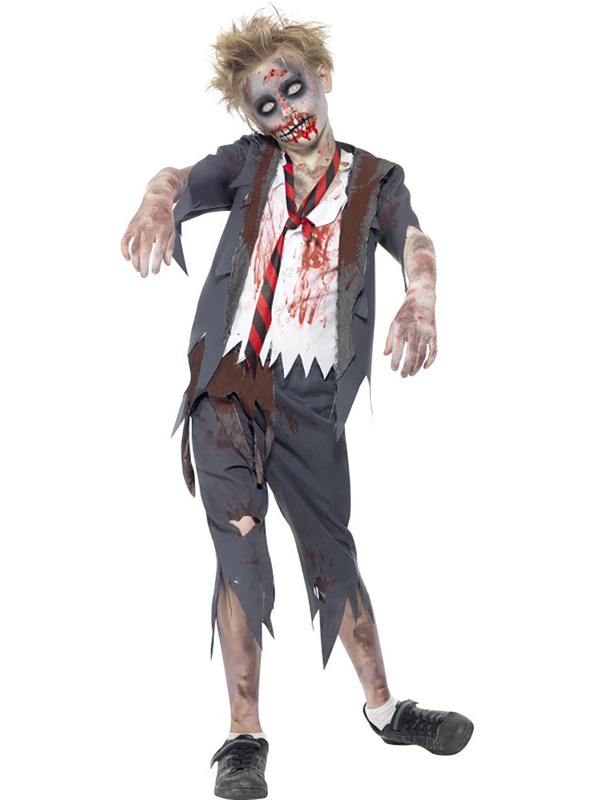 This terrifying and bloody student zombie costume includes grey trousers with torn bottoms, a jacket, also in red with an imitation white shirt and a red and black tie, all stained dark, fake blood. 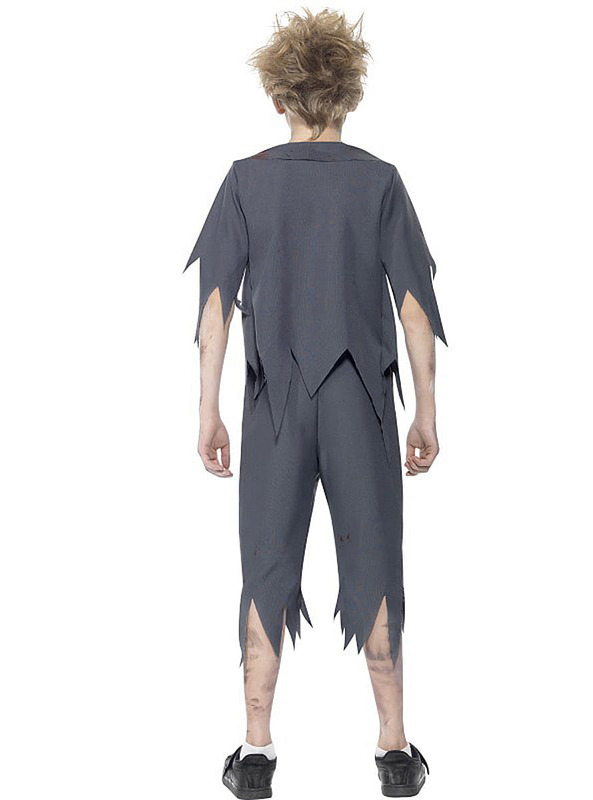 העלה את התמונות שלך ל Instagram עם hashtag #funidelia בא אחריו #funidelia12659. דירוג המוצר: "סטודנט זומבי תחפושות עבור ילד"